Roasted Yum… I mean Yam. As the Fall season approaches, I find myself more and more looking for some yummy, warm, satisfying root vegetables, squashes, and exotic spices. Don’t get me wrong, I love yams at anytime of the year. But there’s something about the season that makes my body WANT root veggies. Tomatoes, watermelon, basil; These summer delights are still up for grabs, but my attention is now stolen by glimpses of pumpkin orange, beet red, and cinnamon brown. 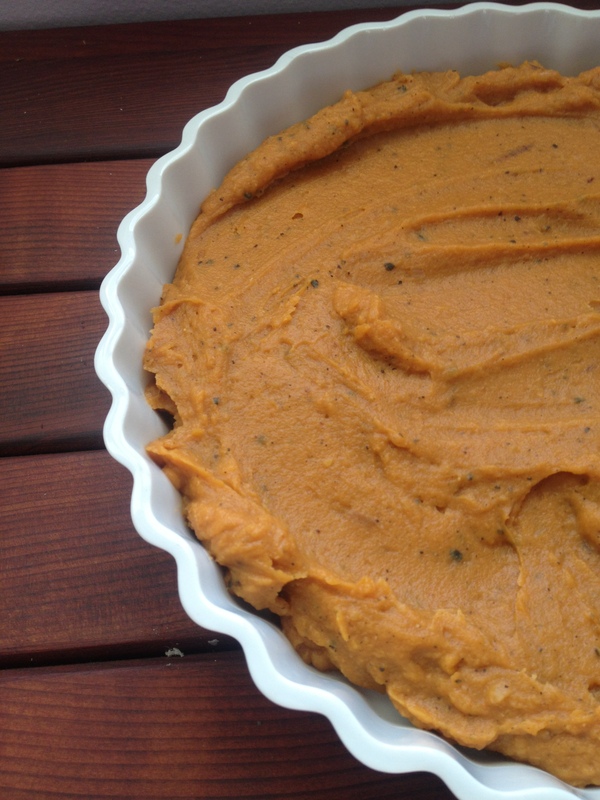 Sweet Potato Mash is a great way to transition someone from a Standard American Diet to more healthful, nutrient-dense meals. I don’t know too many people who would turn away the cream, comforting, sweet and savory taste of this dish. It’s reminiscent of a holiday pie. The funny thing is, here in San Clemente, we are still firmly in the grips of summer. Temperatures in the 80’s beckon us to the beach rather than the fireside. Heck, I even cooked these yams on the grill! This was partially due to the fact that I don’t have an oven, and partially because I think boiled or steamed yams are a disservice to anyone’s mouth. Methods aside, I paired this dish with a crisp and sweet Apple-Fennel Salad (there’s that fall flavor again!) and a Chili-Molasses (gingerbread anyone?) Tri-Tip. It was a Autumn meal prepared in high Summer fashion. The best of both worlds. Perfect. Preheat your oven to 375. 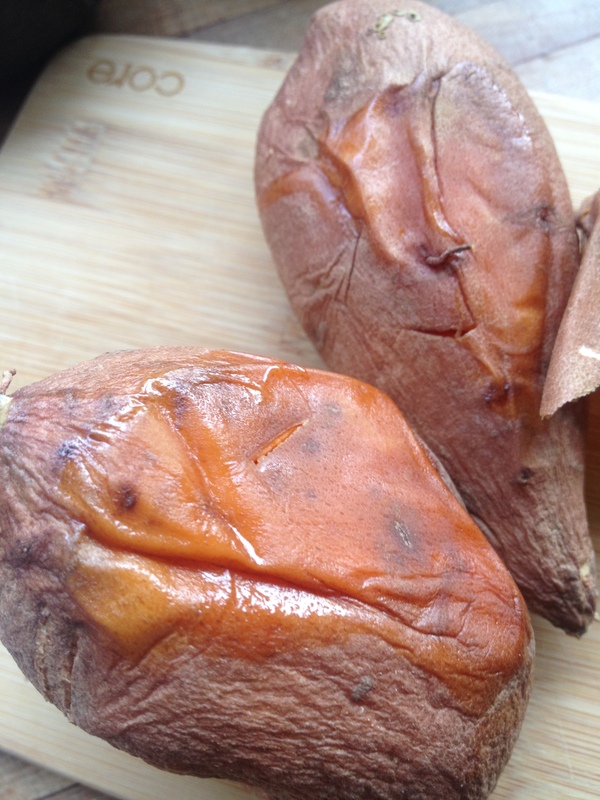 Poke a couple of holes in your yams and set them in a foil lined dish or baking sheet. Bake until very soft, about 35-40 mins. (less for smaller yams, more for larger. In a skillet, heat a spoonful of coconut oil. Add sliced red onion and sauté over medium-low heat. Once the onions are close to caramelized, add garlic and stir until fragrant. Once yams are done, and have cooled for a bit, remove the skin and place in your food processor or high-speed blender. Add sautéed onion mixture and other ingredients. Blend until almost creamy (if you like “chunky” mashed potatoes) or process until smooth and creamy. Serve warm or cold. Great for breakfast too!